GGWSC has a drive by meter reading system. 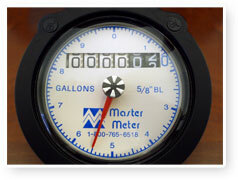 What this means is that the operators DO NOT pysically read the meter. This is a satellite system that uploads the readings to a lap top as the operator drives by your house as it reads the meter. This takes the human error out of reading meters.